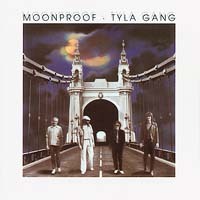 This is the second album from the Tyla Gang, led by former Ducks Deluxe guitarist/vocalist Sean Tyla. The music on 'Moonproof' falls between the boogie riffs of the band's debut 'Yachtless' and the more commercial tunes of Sean's solo releases. Originally released in 1978.